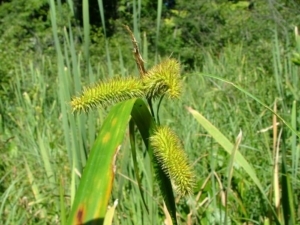 Class Description: Two-day field class covering wetland sedge identification (with a focus on the genus Carex) in the field. Plants encountered in the field will be identified and distinguishing flowering and non-flowering characteristics will be given. The course will focus on a variety of wetland types in and around the Pinckney Recreational Area. Participants should bring a bagged lunch each day. Lodging options are available in Chelsea or Ann Arbor. Michael Penskar – Mike Penskar is currently a Visiting Research Investigator at the University of Michigan Herbarium. As a former Senior Conservation Scientist and Lead Botanist for the Michigan Natural Features Inventory (1988-2013), Mike has conducted ecological and botanical inventories throughout Michigan. These surveys effectively covered all of the state’s known natural community types, with a particular focus on wetlands including fens, bogs, peatland complexes, Great Lakes marsh, emergent and submergent marsh, lakeplain prairie, coastal plain marsh, hardwood to conifer swamps, and very rare communities such as wet prairies, intermittent wetlands, and inland salt marsh. He is a co-author of the Michigan Floristic Quality Assessment System and a member of the state rare plant technical committee since 1988.